On today’s Happy Daily, guess what, Brian is sick again. But he’s always getting faster stronger, better. On today’s Happy Daily, Brian is back at the undisclosed location talking about a new business opportunity. On today’s Happy Daily Brian has taken some new medicine and he’s sorry. On today’s Happy Daily, Brian talks about his new old job, as well as the finer points of goose control. On today’s Happy Daily: Howard Vannoy is back to tell us about Sinkhole De Mayo! Happy Daily 183 – You Ready for Some Snow? On today’s Happy Daily, it’s gonna snow! Get your milk and bread! Brian is still sick, but on this classic episode of the Happy Day, Brian has a special guest interview! On today’s Happy Daily Brian is getting ready for a big business trip coming up, and testing out a fancy new microphone that Terry suggested that he take on the road. 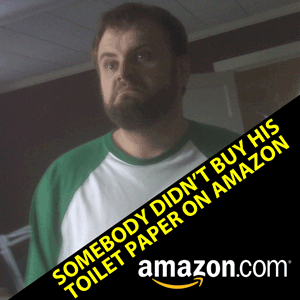 On today’s Happy Daily: Clint N. is a fan of leaving negative reviews on Amazon Echo Skills, but today he finds himself in The Wilkes County Zone. 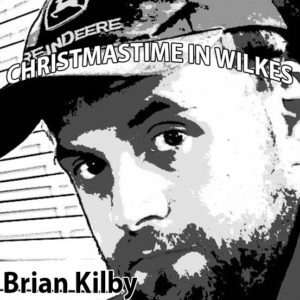 On today’s Happy Daily: The best and the brightest Wilkes County has to offer share thoughts and insights about the day’s most pressing stories, for the last time in 2018. Happy Daily 179 – We got Christmas Snowflakes After All! 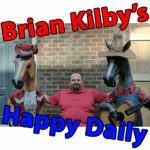 On today’s Happy Daily: Brian tells the story about his first Christmas with the young’uns. And thanks to Amazon, he got some Christmas Snowflakes after all. On today’s Happy Daily: Christmas is coming up, and Brian shares some Christmas thoughts to bless your heart. 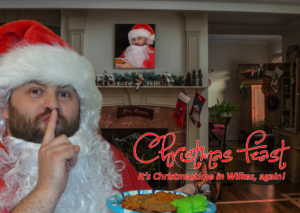 First Christmas: Full 2018 Christmas Album! It’s an instant classic! 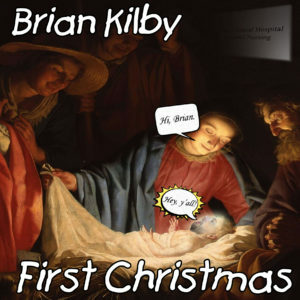 It’s First Christmas, my third Christmas album! Featuring such classics Oh Holy Night, Oh Christmas Tree, and oh so much more! On today’s Happy Daily: Brian wishes you a Happy Thanksgiving and he talks about a new business opportunity that a friend dreamed up. On today’s Happy Daily, Brian gives an update on his new Christmas Album. He also explains the title, and why my third Christmas album is called First Christmas.